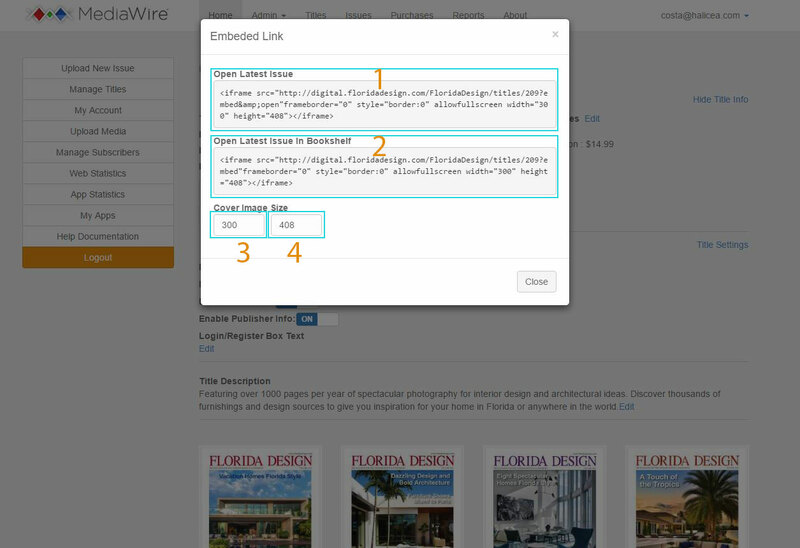 The Embedding the Title Cover & Link feature will give you the code necessary to display your latest issue’s cover on your website which will also be linked to that latest issue when clicked on. The end result would look like this. 1. 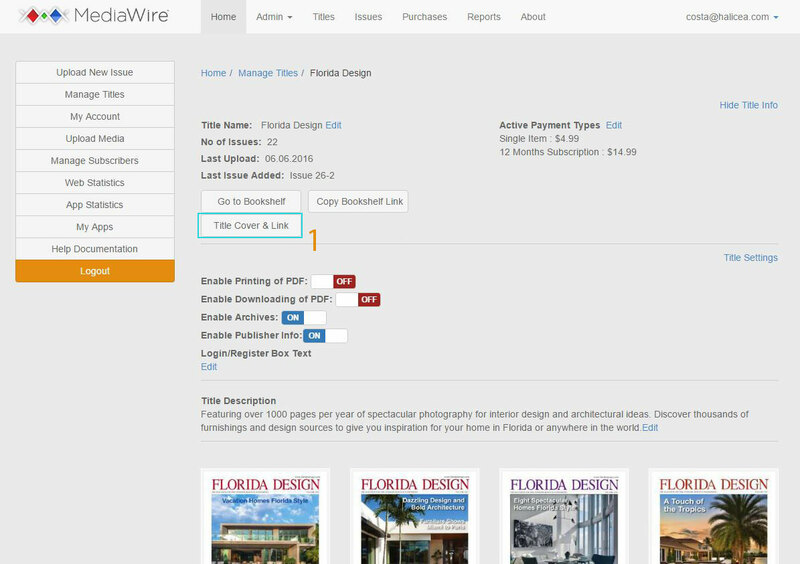 To embed the title cover and link you must first navigate to the title you wish to embed the cover and link for, and click on the “Title Cover & Link” button  which will bring up a popup. When you have set the height/width you can then copy the code and paste it into your website. The “Open Latest Issue”  code will open the latest issue published directly, while the “Open Latest Issue In Bookshelf”  code will open up the bookshelf, displaying the latest issue as the featured issue.